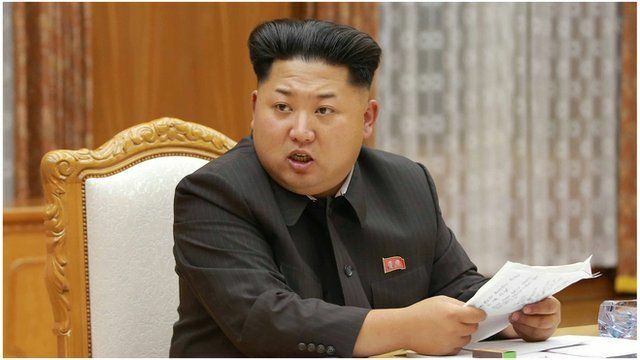 N Korea TV presenter lashes out Jump to media player The presenter of North Korean state television lashes out at South Korea saying it had fabricated the incident of North Korea firing towards the South. North Korean media have been using war-like rhetoric to warn the South in the latest spike in tensions that followed a cross-border exchange of fire. State media say the South's "vicious political and military provocation" risks exploding the situation into a crisis. The state news agency KCNA and state radio have been calling the South a "puppet force", "war maniacs" and a "hooligan army". BBC Monitoring looks at the aggressive language used by both sides in the latest crisis.